Members of the Federal Reserve are constantly under the microscope. Everything members say is taken seriously. What was Janet Yellen thinking? In the middle of this week, Janet Yellen the President of the Federal Open Market Committee (FOMC) stated here in an interview that the US Equity markets were overvalued as were High Yields bonds. 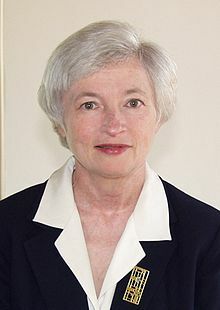 While we agree on both parts, we are very surprised at Yellen’s public comments. Preparing Markets for Higher Rates? Talking Markets and bonds down? Not sure on any of these, but in time hopefully this will be clarified! Have a great weekend and grab your paddle in many parts of the country! This entry was posted in Economy, Interest Rates, Investing/Financial Planning, Market Comments and tagged FOMC, High Yield, Janet Yellen, valuations. Bookmark the permalink.